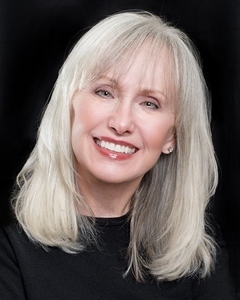 ¢ Peggy has had a passion for real estate since reading Pearl Buck's The Good Earth in grade school. ¢ She bought her first home at age 20. ¢ She bought her first investment property at age 24. ¢ She has owned property in 3 states. ¢ She earned a real estate license in Ohio in 1973 to do side ventures while working full time in advertising/marketing at Procter and Gamble. ¢ She moved to Chicago in 1983 to work for Leo Burnett and got a real estate license in 1984 to aid in her own purchases. ¢ In 1996 she decided to make real estate selling/investing a full time career. ¢ Peggy has personally renovated properties in: DePaul, Lakeview, Andersonville, Albany Park and Old Irving Park. ¢ She has done several condo conversions and new construction projects for builders in: Uptown, Sheridan Park, Lakeside and Albany Park. ¢ Peggy has been a resident of Old Irving Park since 1990. She was drawn to the Victorian/Italianate homes, tree lined streets, large lots with beautiful gardens and access to all major transportation networks-20 minutes to the Loop, O'Hare, North Shore. She is very interested in the growth and preservation of the neighborhood. Peggy currently resides in her work-in-progress the restoration of The Ropp-Grabill House, on the National Historic Register. The old house witnessed the Chicago Fire and is said to have been part of the Underground Slave Railroad. Peggy is a member of the Old Irving Park Garden Club, and the Old Irving Park Association. She loves all things creative: gardening, decorating, sewing, cooking and visual arts. She is an artist and paints with acrylics, watercolors and oils. ¢ Works well with builders from the purchase of the vacant land or properties in need of renovation or conversion to the finished product and its marketing and resale. ¢ Extensive renovation experience - many of her family members and associates are in the building trades. ¢ Peggy works mostly in Old Irving Park, but has extensive experience in all the following North side neighborhoods: Portage Park, Jefferson Park, Independence Park, West Walker, Mayfair, Avondale, Kilbourn Park, Lincoln Mall Area, Albany Park, Ravenswood Manor, Horner Park, Ravenswood, St. Bens, North Center, Lincoln Square, Buck Town, Wicker Park, Logan Square, Roscoe Village, Lakeview, Wrigleyville, Uptown, Sheridan Park, Lakeside, Rogers Park, Andersonville, Edgewater, Lincoln Park, Old Town, DePaul. ¢ Full service office “ from listing to closing. Assistance with all phases of the transaction. This is paramount with the many hurdles in the market place. ¢ Give first class service throughout the transaction. ¢ Blend business acumen, marketing skills, creativity, foresight, common sense, professionalism, perseverance, dedication and a strong work ethic into a mix that makes her a top Chicago agent. "I appreciate all Peggy did for us as we worked our way through settling my dad's estate. It was certainly a learning process for me and my sisters. I could always trust she had our best interests at heart and would provide us with expert guidance whenever we asked. She was always responsive and quick with answers and showings."